The Indian Removal act of 1830 was a long on-going process that actually had its beginnings in 1829. Jackson mentions them in his inauguration speech. 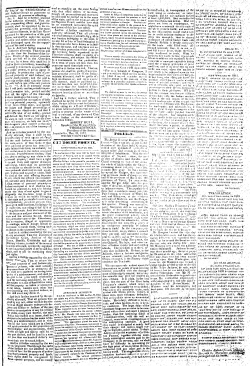 He said, "It will be my sincere and constant desire to observe toward the Indian tribes within our limits a just and liberal policy, and to give that humane and considerate attention to their rights and their wants which is consistent with the habits of our Government and the feelings of our people." At his first anual message to Congress later that year, he mentions them again, and suggests there will be a mishap amung some of the tribes. Yet, a year later, he says he wants to make them happy. One year after that, he refers to them as "native savages." In his fourth anual message to Congress, he said it was necassary to defeat the indians because of their "unprovoked agressions"
The anual messages to Congress continue, all the while the Native Americans are resisting. The first message to Congress that he actually mentions removing them, was his fifth, it was made on December 3, 1883. He said: "Established in the midst of another and a superior race, and without appreciating the causes of their inferiority or seeking to control them, they must necessarily yield to the force of circumstances, and ere long disappear." He continues to persist to Congress that they are a problem to our country and have to go, although he never really makes direct reference. Today, the act is known as a selfish act made by Andrew Jackson, stating the the Native Americans were in out way and didn't belong here. Civics-Online calls it " An Act to provide for an exchange of lands with the Indians residing in any of the states or territories, and for their removal west of the river Mississippi." The Indian Removal act of 1830 is broken up into sections. The first section begins "be it enacted" while the rest of the sections begin "and be it further enacted." The first section states that the indians were being moved to designated areas that weren't part of our country at the time. Their areas were to be marked as to not be confused with any other tribes'. The second section describes that the President is allowed to remove them from their current spot if it falls within the United States boundaries. The third section says that the area they are given will be officially theirs unless something should happen to them, in which case the land comes back to us. The fourth section states that if the land will be improved in a way that adds value to the land, the land will be appraised the values come to us. The fifth section describes that the President will help them move to their new area, and comtinue to help them if needed within the first year of living there. The sixth section says we are responsible for their protection against any other tribes, or people. The seventh, and final section states that the President will be just as in charge of them in their new habitat, as in their old habitat. In some ways, this act is selfish, but in other ways, it is generous.